The major objective of this course is to provide students with an in-depth understanding of fundamental theories of organizational behavior and thereby enable them to function more effectively in their present or future roles as managers of human resources. This course aims to develop soft HR skills of the students to handle on different dimensions of behavior of people at work. The course contain comprises: introduction, understanding individual behavior, perception, individual decision making and learning in organizations, personality and positive organizational behavior, motivation, job satisfaction and stress management, groups and teams in organizations, leadership, communication, conflict and organizational change and development. Concept, Organizational behavior system, basic assumptions, levels of OB analysis, Basic assumptions of OB, Contributing disciplines to the field of OB, challenges and opportunities for OB. Behavior as an input-output system.Mental process-beliefs, attitudes, values, needs, motives and behavior, Sensation, Emotions and Cognitive dissonance. Concept of perception, perceptual process, factors affecting perception, specific application of perception in organizations, principles of perceptual selection, Application of perception theories in organizations, Attribution theory, Attribution errors. Concept of learning, Learning theories, Factors influencing learning, Principles of learning, Behavior modification, Attitude formation. Concept, Personality traits and characteristics, Determinants of personality, linking an individual's personality and values to the workplace, Major personality attributes influencing OB, application of personality traits and characteristics at work place. Concept, Motivation theories-historical and contemporary perspectives, Application of motivation theories, Motivation for Performance, Concept of job satisfaction, Measuring job satisfaction, Effects of job satisfaction on employees’ performance. Concept of group and group dynamics, the dynamics of group formation, types of groups, The dynamics of informal groups, nature and significance of informal groups, Issues related to group decision making, concept and nature of teams, Types of teams, Team processes. Concept, Effective leadership, Theories of leadership-trait perspective, behavioral theories, contingency theories, emerging approaches to leadership, Contemporary issues in leadership. Concept, Function and process, System, Types, Communication network, Barriers to effective communication, Overcoming communication barriers, Current issues in communication. Concept, nature, types and nature and types of intergroup conflict, Dynamics of intergroup conflict, Sources of conflict, Approaches to conflict management, Resolving conflict through negotiation, Functional and dysfunctional conflicts, Assertive behavior. Concept, Forces of change, Resistance to change, Approaches to managing organizational change, creating culture for change, Concept and characteristics of organizational development (OD), OD values, OD interventions at individual, group and organizational level. Robbins, S.P., Organizational Behavior, New Delhi: Pearson. Newstorm, J.W., Organizational Behavior: Human Behavior at Work, New Delhi: Tata McGraw_Hill Publishing company. Arnold, H.J. & Fieldman, D.C. Organizational Behavior.New York: McGraw Hill Book Company. 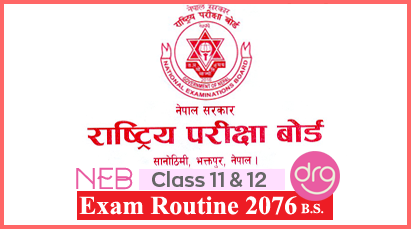 Adhikari, D.R., Organizational Behavior. Kathmandu: Buddha Academic Enterprises Pvt. Ltd.
Asathappa, K., Organizational Behavior. (8th Edition), New Delhi: Himalayan Publishing House. Dwivedi, R.S., Human Relations and Organizational Behavior: A Global Perspective. New Delhi: Macmillan India Limited. Hellriegel, D., Slocum, J.W. & Woodman, R.W., Organizational Behavior. Singapore: South Western College Publishing. Moorhead, G. & Griffin, R.W., Organizational Behavior. New Delhi: AITBS Publishers. 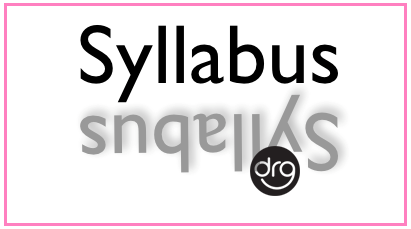 0 Response to "Complete Syllabus of Organizational Behavior | MGT 219 | BBS 3rd year (4 Years)"